“It is a well known fact that the use of hard drugs and other dangerous substances are usually preceded by the use of cigarettes especially with the young and restless. Many young people, having access to the cheap, ubiquitous cigarettes, with their systems laden with nicotine and yearning to attain more ‘highs’, easily ‘graduate’ to those substances. It is then necessary to limit this easy access and prevent that dangerous possibility“. When the legendary Nelson Mandela made his famous quote ‘there can be no keener revelation of a society’s soul than the way in which it treats its children,” he most likely had the humanity-indicting apartheid system in mind. Were he alive now and a Nigerian, he would have replaced the last strand of the sentence with ‘the way in which it allows the tobacco industry, merchants of death, to toy with the lives and destinies’ of its children. This becomes more pertinent as the question of whether tobacco should continue to exist as a consumable product alongside our glistening civilization, continues to bug us all. This also rears up on the heel of the recent public hearing on the National Tobacco Control Bill at the House of Representatives. Some of the core issues of the bill bordered on ‘Prohibition of Tobacco Advertising, Promotion, and Sponsorship’ (Article 13 of the WHO’s Framework Convention on Tobacco Control aka FCTC). This piece will also focus on the aspect that pertains to marketing to minors, and one that has remained a thorny issue. No doubt, advertisement remains the core of marketing communication dating back to the days of yore when the beating of gongs to attract the attention of our folks in rustic communities to the present when our market women’s voices remain their invaluable asset. And, for an industry whose stock in trade remains cunningly convincing vulnerable consumers to be stuck for life with buying and consuming a product which sickens and ultimately kills them, deceptive advertisement remains at the core of the tobacco industry, and if allowed, they would do all they can to ensure that they retain that pattern, grave implications or not. Note the ugly statistics: half of current tobacco users will eventually die of a tobacco-related disease! Yet, even more repulsive, the tobacco industry deliberately targets young, impressionable persons with attractive messages, labeling, catch-phrases and youth-oriented events (sponsorships) such as sporting, musical and fashion shows. A panacea proffered by the current bill is to place comprehensive ban on all tobacco marketing, sponsorship and peg the age where youths can legally purchase tobacco products at 21. Existing researches already prove the relationships between point of sale advertising and displays, and increase in smoking among young persons. Closely related to this is the recommendation for an end to sale by sticks so as to limit access to tobacco products by young people (who most times may not afford buying by packets). It is a well known fact that the use of hard drugs and other dangerous substances are usually preceded by the use of cigarettes especially with the young and restless. Many young people, having access to the cheap, ubiquitous cigarettes, with their systems laden with nicotine and yearning to attain more ‘highs’, easily ‘graduate’ to those substances. It is then necessary to limit this easy access and prevent that dangerous possibility. Even with this indicting finds, Big Tobacco continues to target the lungs of young people, indeed young Africans. It is an open secret that due to stringent legislations in Western countries, the bulk of tobacco marketing has shifted to the developing nations and Nigeria is one of the topmost ‘customers’ of tobacco multinationals. In their crooked logics, they would need to replace their lost grounds, replace the dying populations of addicted smokers (many already down with tobacco-induced cancer, heart diseases and other terminal ailments) in the West with young, agile persons here. With current trend which shows that one billion sticks are smoked in Nigeria annually, we are already contributing casualties to the six million lives which the WHO says are killed every year due to tobacco use. Saying therefore that a large percentage of our promising youngsters are represented in that grim statistics is simply an understatement. Think of a soulless business and the tobacco industry comes to mind! Indeed, so angered are governments all over the world with ‘Big (‘Damaging)Tobacco’s contribution to degeneration of public health especially with their targeting of the most productive mass of the population that they have put up the most stringent of policies to curb the smoky menace. India is a salient example: highest incidence of oral cancer in the world; One third of all cancer patients in the world based in India; 1 out of 10 Indian adults dying of tobacco-related diseases. Faced with the gory statistics, the Indian government has now woken to its responsibility. Besides comprehensive smoke-free public places (which protects non-smokers from the harm of tobacco smoke), gory images of cancerous mouths, noses, necks, damaged lungs, perforated hearts among others now ‘grace’ the covers of cigarettes all in a bid to discourage smoking. 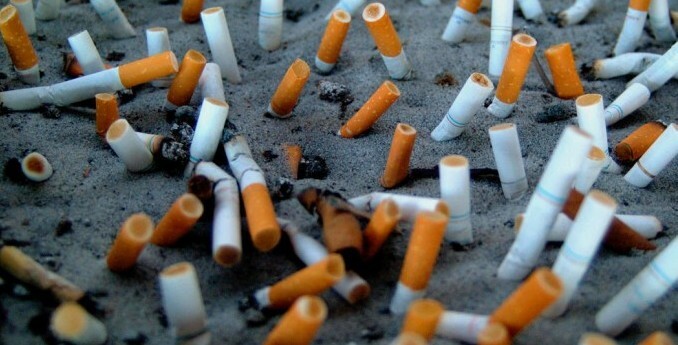 In 2010, Australia dealt the last straw when it pioneered the ‘plain packaging’ policy whereby cigarette covers no longer bear any brand names or attractive logos other than badly distorted body organs so that smokers, not knowing what they were even about to puff, would reconsider their risky lifestyles. And so far, it has proved successful, witnessing, according to recent statistics, a 15 percent reduction in smoking nationwide. Increasing taxes will also take away youngsters’ buying power as has been shown to have worked world over. Only last year, New York City which has the most comprehensive law on smoking, celebrated 10 years of its smoke-free laws which has witness a 31 per cent decline in smoking since 2002, from 21.5 to 14.8 percent, while youth smoking has been cut by more than half since 2001, from 17.6 to 8.5 percent. This law owes its success to the cigarette tax which stands at $5.85 per pack, the highest in the USA. Given the above grim facts, it behoves on our law makers therefore to heed the voice of conscience and pass this important bill that would both secure public health and our children’s future. It is a battle between public health and soulless profiteers. And, lest we forget, a country is deemed great that truly cares about its children aka pikins, and the most vulnerable. Already, the international child’s rights group Save Our Children shows Nigeria cocooned near the bottom in the line-up of child-friendly nations owing to gross neglect and ramshackle healthcare system. Already the world’s searchlight is on Nigeria over the Chibok girls’ abduction saga, and Boko Haram’s murderous rage which do not spare children. Already, we are wrestling to disarm many of our young people from violence in the wake of the insurgency’s nightmare. We need no dibia to tell us that we can’t stomach any more epidemic, no, not with an already comatose healthcare. This bill must by all means make a difference. History’s big eyes are set on us. We must do all we can to protect, to salvage our future. We must summon the courage to go the way of other Africa countries such as Kenya, South Africa, Ghana, Togo among others that passed effective smoke-free laws. We must summon the courage to say ‘no, not again, not our children, soulless Big Tobacco’.